The Greater Bandon Association has named the August recipient of its Volunteer of the Month award. 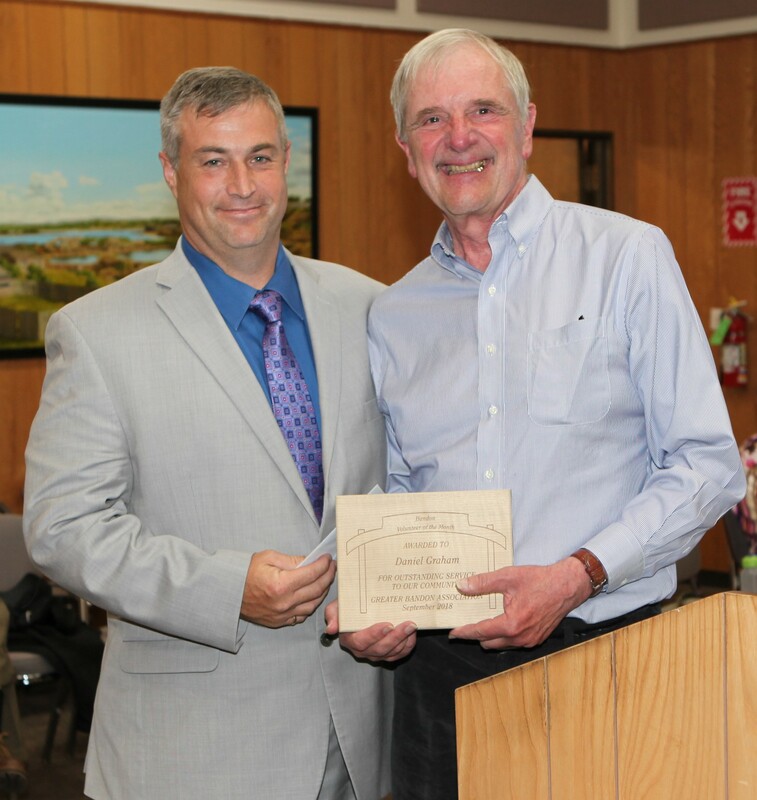 Daniel Graham has been chosen as GBA begins its fourth year of presenting this award to the many outstanding individuals that contribute to making Bandon a better community to live in. Daniel was presented the award in form of a plaque and a gift certificate from Bandon Coffee Cafe at the September 10th meeting of Bandon’s City Council. While Daniel is most often recognized for the contributions that Face Rock Creamery makes to the community, he personally has volunteered 18 years of service as a volunteer for the City of Bandon beginning with the Citizen’s Patrol. As Animal Control Officer, he has given his time for lost dogs or dogs at large. He serves on the Utilities Board and recently completed his second term on the Planning Commission where he served two years as vice-chairperson. The Greater Bandon Association will be honoring one of Bandon’s many volunteers that are making a difference in the community each month. Nominations for the May award should be e-mailed to harv@greaterbandon.org or mailed to P.O. Box 161 by close of business on September 24th.